Following the success of 2017’s Christmas town events, Hailsham Town Council and project partners are in full swing with the planning and organisation of this year’s Christmas Lights Switch-on and Christmas Market, which take place in Vicarage Field on Friday 23rd November and Saturday 15th December respectively. The town centre will be home to a range of stalls selling fine food, Christmas gifts, candles, confectionary and other items at the Christmas Market event in December, and various festive refreshments will be on sale including mulled wine, roasted chestnuts and a hog roast to tempt visitors. The event will also feature live music in Vicarage Field provided by The Sussex Stompers and Christchurch Hailsham (carol singing), and a festive performance by Wealden Brass which takes place at Hailsham Parish Church from 3pm. Market traders can benefit from having a free stall on the day and are encouraged to book by calling 01323 841702 or emailing christian.letschka@hailsham-tc.gov.uk as early as possible. 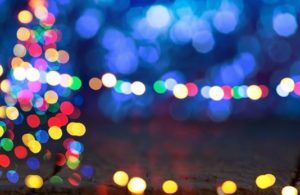 Prior to the Christmas Market, a special Christmas lights switch-on event, which is always a highlight of the year in Hailsham, will take place in Vicarage Field on Friday 23rd November. Santa will be handing out free sweets to children and pupils from Hailsham Community College and Grovelands Community Primary School will be carol singing before the official switch-on, which takes place at 6pm. The two winners of this year’s Best Christmas Pizza Design competition will press the button alongside the Mayor of Hailsham. There will also be festive refreshments on sale including candy floss (courtesy of Hailsham Lions) and roasted chestnuts. Hailsham Parish Church will be holding its open church directly after the switch-on, providing free festive refreshments, and Hailsham FM will be in attendance at the event. Further information on both Christmas events will be announced in the coming weeks. For enquiries, contact Karen Giddings on 01323 841702 or by email: karen.giddings@hailsham-tc.gov.uk.